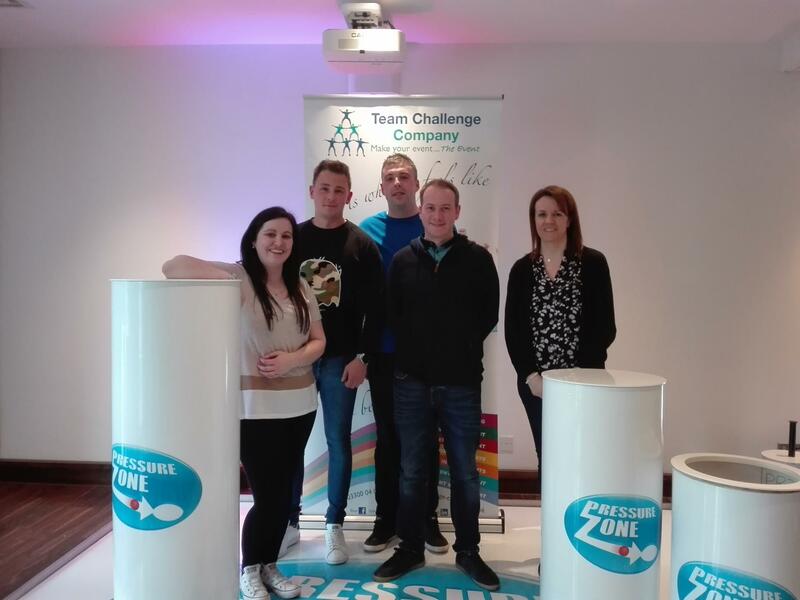 What a fantastic afternoon packed full of games and competition as the teams from Hymans Robertson participated in Team Challenge Company’s highly energetic and intense Pressure Zone at the stunning river side Hilton Garden Inn in Glasgow. The Finniestone Suite was an ideal set up with its newly styled and beautifully decorated suite looking out on to the stunning River Clyde. After the first warm up game of Flop It, the competition really got under way with the One Directionless team really living up to their name, what were they thinking?! On the first round of rotations the challenges got very competitive very quickly. Marie was making the most of the practise time on the hurdle, and Irene was showing us all how it’s done on the Bounce and In. 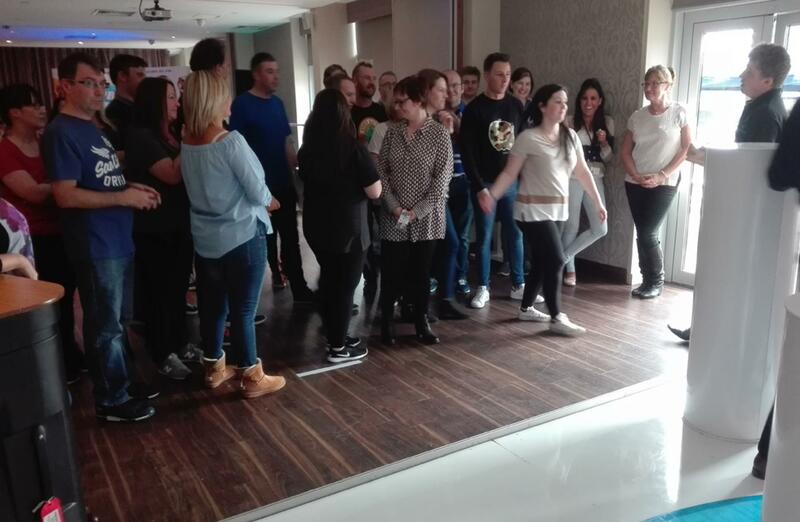 Tensions were rising over at the landing strip with the 5 Go Mad in Devon team proving that they wanted to be top dog by showing everyone up with their skills. 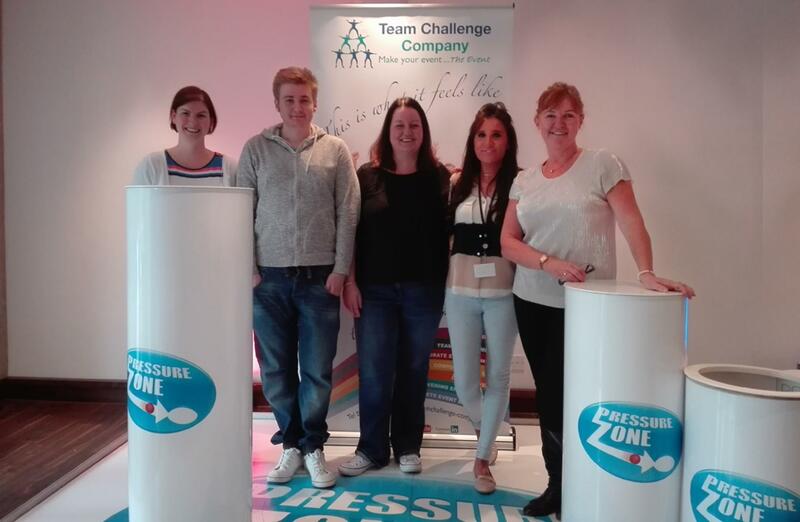 As we approached the finale of Tier Drop it was the Fantastic Four team with 11 shots to try and claim victory, but unfortunately fell slightly short when the pressure of the Pressure Zone hit its peak. 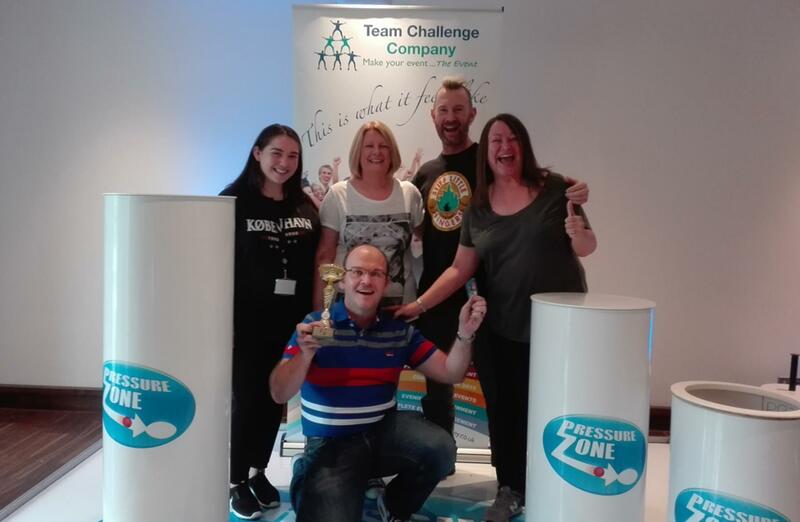 However, when it came to crunch time the Sixy Things stole the show and claimed victory, walking away with a whopping £1500 in 1st place! It was a fantastic afternoon of fun and games. A huge thank you goes to Irene for organising the day. We hope you all had a lovely time and look forward to seeing you again!